Afternoon all just a quick post to show a digital card I made for the wonderful Kylie, owner of Addicted to Stamps and ACAS challenge blogs, whom I'm sure you're all familiar with :) I was one of Kylie's original DT and was delighted to meet her for lunch, along with several other blogging friends, when she was in London earlier this year. Apologies Kylie for it being digital but it's been a bit hectic and I'm getting ready for going away again tomorrow inbetween watching the Wimbledon Men's final! Lots of friends have been posting cards on Loll's blog for Kylie's birthday celebrations so pop over and check out some amazing creations! Lovely card for Kylie - sure she'll love it. See you tomorrow. A stunning card, Val! Love the butterfly! Gorgeous! This is clever and I'm sure Kylie will love it. Have a great time. Looooove this. Gorgeous design Val. Gorgeous, Val!! Hope your trip is safe and enjoyable!! 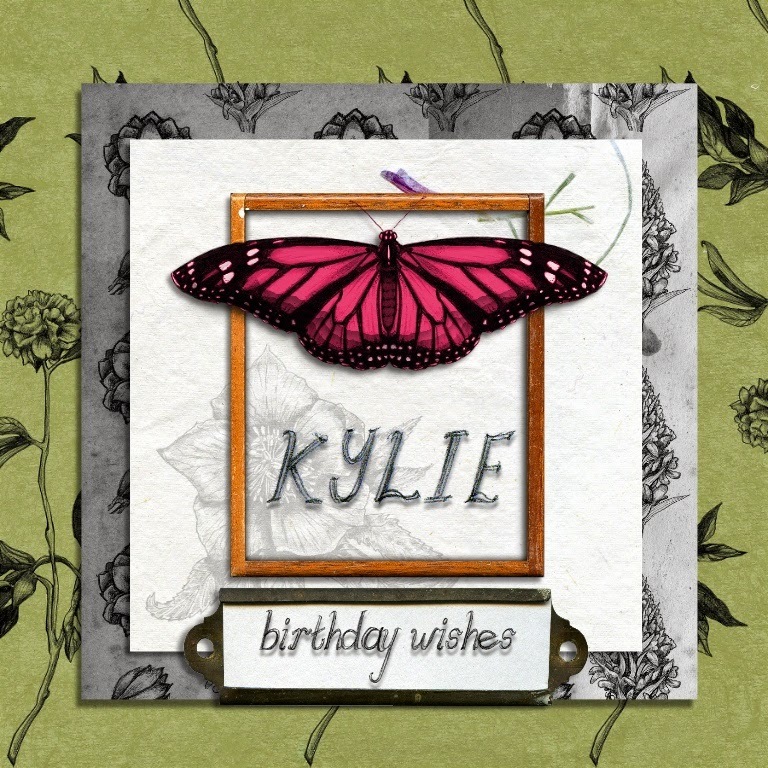 How very fun your digital card for Kylie is and I am sure she loved it! !